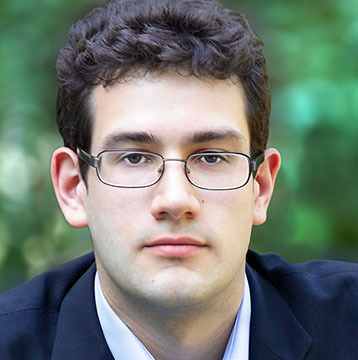 Watch out for David Burstein. Someday, he just may become President of the United States. At 25, this young man has accomplished more things than most people will achieve in a lifetime. In high school he started a film festival. In college he produced an influential documentary film. He’s written and published a book. And his face has appeared across the country on bags of nacho cheese Doritos. I’ve known David since he was a schoolboy in Connecticut, and have written several stories about him. A real go getter, at Weston High School he was one of the founders of the wildly successful Westport Youth Film Festival, a showcase for teens and their original films. In college, David produced and directed his own documentary film, 18 in ’08, which was shown across the country at college campuses encouraging young voters to participate in the 2008 presidential election. After that, he founded Generation18, a nonpartisan young voter organization. Then came the Doritos bags. David’s work on 18 in ’08 earned him a “DoSomething Award” which honors world changers under age 25. As one of the recipients in 2009, David’s face and story were featured on several million bags of Doritos. Politically astute and aware, David just finished a tour including stops in Italy, promoting his new book, Fast Future: How the Millennial Generation Is Shaping Our World. We have the ability to transcend other generations and not just make our lives better, but make the world better for everyone. When Emily Dickinson wrote “Hope is the thing with feathers,” I think of David with a pair of wings. If David and others his age (such as my sincere and hard-working daughter) are the face of the Millennial Generation, then the future looks bright for our country. 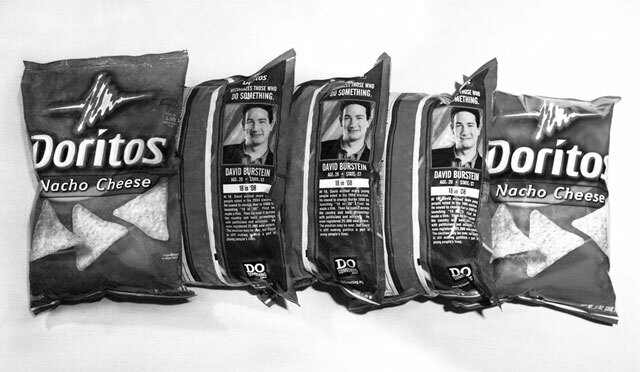 As the recipient of a DoSomething Award, David Burstein was featured on special bags of nacho cheese Doritos.